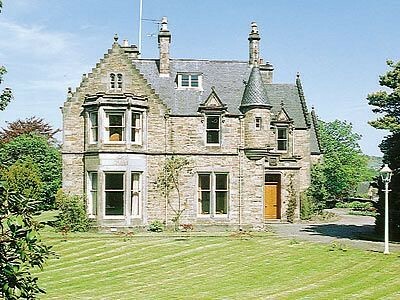 This magnificent, baronial-style mansion provides a stunning setting from which to tour the Moray coast and the Grampian Highlands. Standing within its own spacious grounds on the edge of Keith, on the Whisky Trail, it offers guests supreme comfort and the chance to savour the elegant lifestyle of a bygone era. There are fine antique furnishings selected to blend in with the sumptuous surroundings, which include a huge mahogany dining table, and even a grand piano, making this an unforgettable ‘live like a laird’ experience. 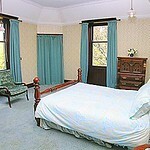 Built in 1892, a room accommodating a full-size snooker table also features, where guests can enjoy a friendly game. The colourful and extensive gardens include formal herbaceous beds, a walled kitchen garden, vinery, greenhouses, orchard and sweeping lawns, providing space to relax and unwind in gloriously tranquil surroundings. Isla Bank is only a mile or so from the Moray Firth, with its beautiful sandy beaches and charming fishing villages to explore, and is renowned as one of the best places in Scotland to view dolphins at play. To the south lies the stunning Cairngorm mountain range, stretching for fifty miles and offering outstanding climbing, hill walking and winter skiing. 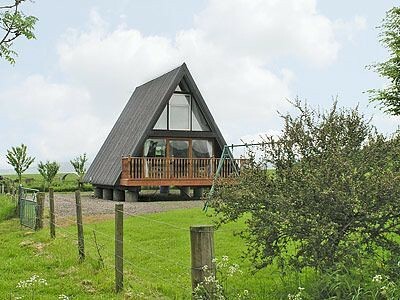 The area also boasts superb fishing on the Spey and Deveron rivers, and an 18-hole golf course and swimming-pool just a mile away. Lying in the heart of distillery country, Dufftown, the acclaimed ‘Malt Whisky Capital of the World’, is found just a short distance away. Here the Glenfiddich Distillery produces one of Scotland’s lighter and sweeter varieties of fiery amber spirit, bottled on the premises, and offering visitor tours. 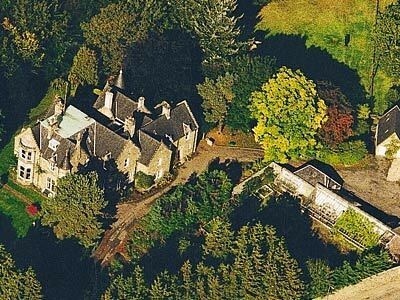 Behind the distillery, the Stewart stronghold of Balvenie Castle survives as a ruin, whilst several other castles abound – one of the smallest and prettiest in the area at Huntly, 10 miles away, which is also the birthplace of children’s author George MacDonald. There are many fascinating places to visit in an area with a long and colourful history. Aberdeen and Inverness airports are both an hour by road or rail, making this a very convenient holiday location. Shop 1 mile. 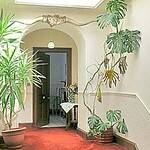 Entrance to porch. 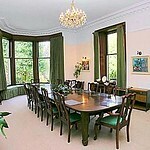 Dining room with 14ft mahogany table and chandelier. 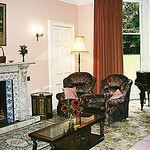 Music room with Bechstein piano. Library. Well-equipped kitchen. 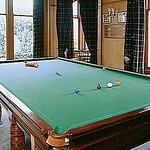 Snooker room with full-size table. Separate toilet. Utility. First floor with two landings: Four double bedrooms, one with tower room, three with hand basins. 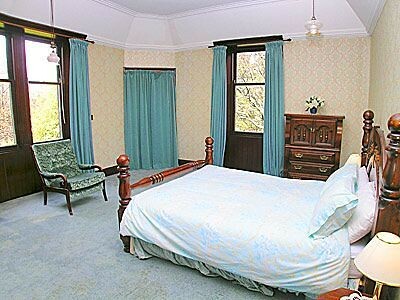 Twin bedroom with tower room. Two single bedrooms one with wash basin. Two bathrooms with over-bath shower and toilet. All bedrooms with TV. 1st comment: Lovely welcome to excellent accommodation. We had a great holiday, lots to do in area and we had a great time on sledges provided by caretaker. March 2012. 2nd comment: The house was great. 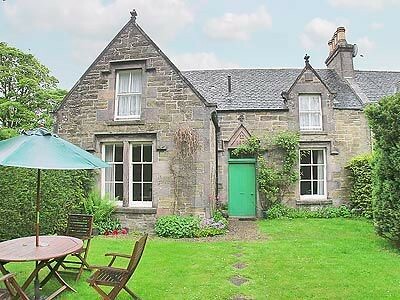 Full of period charm and set in lovely gardens. The housekeeper couldn’t have been more helpful. We went up for a family trip, with three generations, and everyone had a great time. The house is in the middle of Keith, but because of the garden you felt like you were in the country. The town has bars and shops (inc a Tesco) if you needed anything, but the house was so nice were happy to stay and eat there. Would recommend a trip up to Cullen if you get nice weather. Overall I couldn’t recommend it enough. March 2012. 3rd comment: An absolutely fabulous house! Our second year and planning to come again next year! Feb 2012. 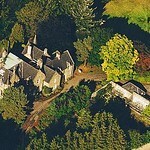 4th comment: A splendid, elegant, superb house in lovely grounds with an exceptionally helpful and friendly caretaker. Oct 2011. 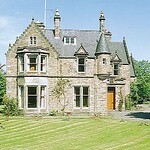 5th comment: Fantastic house, felt very grand ! Housekeeper super and location great. 2min walk to Distillery is a must really friendly and gave us a great tip to head to Spey Bay and Dolphins! April 2011. 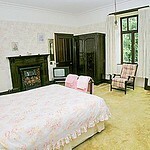 6th comment: The house had a real homely, lived in feel despite the fact that it is so big and imposing. The whole building wreaks of character and takes you back to a different way of life. You can imagine the place in it’s pomp with carriages pulling up at the door and servants going about their business. The kids absolutely loved it. April 2011. 7th comment: The grandeur of your own private estate, conveniently situated in Keith. 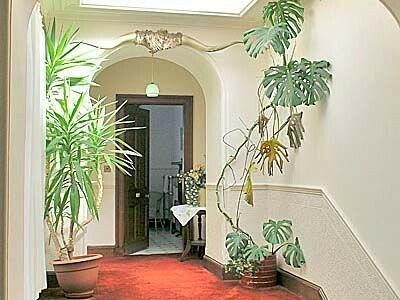 Fabulous private grounds, wonderful space in the house, retaining the original splendor of the age it was built. Superb facilities for a large group/family. 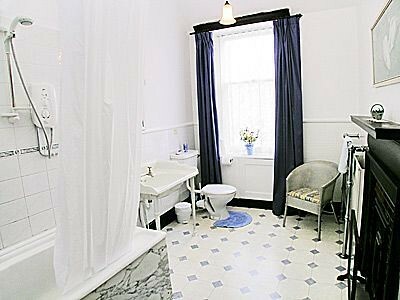 Wonderful old, large bathrooms and fittings. All modern needs catered for apart from internet, but then it’s good to have real peace. Oct 2010. 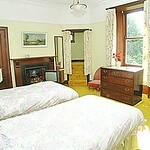 8th comment: Very spacious and well-equipped property with lots of character, in pleasant surroundings. Perfect for large groups of people. July 2010. 9th comment: The house was amazing. Quite old fashioned but totally in keeping with the style of the property. We would definitely consider staying there again. March 2010. 10th comment: It was spacious and comfortable. Dec 2009. 11th Comment It was amazing. It was like being in an old fashion mansion. Nov 2009. 12th Comment Spacious rooms. Ages ranged from young children to aged pensioners and there was never the feeling ’of being on top of each other’. Sept 2009. 13th Comment The house was fantastic. Not too posh that you couldn’t relax but so comfortable and it has everything you could ever need. 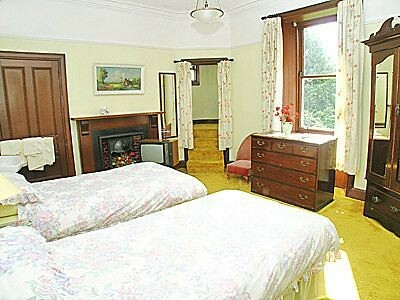 Is is an old house with lots of character and original fittings. If you want clinical and modern then don’t go here. 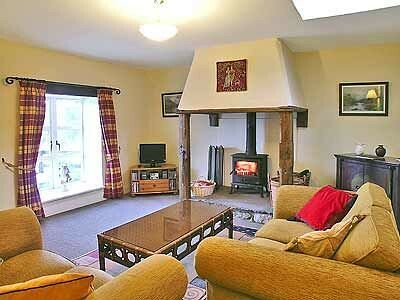 if you want to relax and have fun with plenty of space then this is the place for you. We played snooker competitions, hide and seek in the dark (even grandma), and rounders in the garden. All in all a great place in an even better location. Make sure you go to Cullen bay and walk the Tap O North. Pauline was fabulous, she couldn’t do enough for us. All in all a great family holiday. April 2009. 14th Comment An amazing and totally original property with extremely helpful caretakers. March 2008. 15th Comment The house was excellently situated, convenient to the town and railway station without being too close to either. 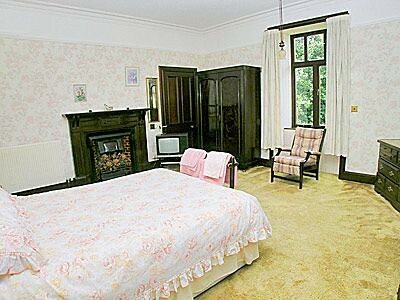 There was plenty of space in all the rooms and the furnishings complemented the house well. In 10 years of booking cottages, I don’t think I’ve ever received a more friendly and helpful welcome from the caretaker. She went out of her way to look after us extremely well. Dec 2008. 16th Comment Wonderful house, plenty of space and character. 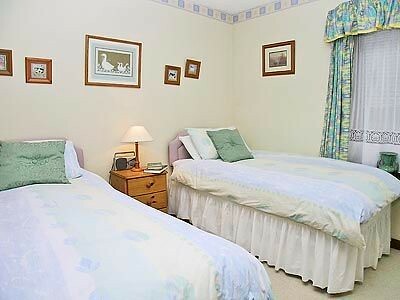 If you’re thinking of having a family gathering then you won’t find accommodation better suited. House keeper full of great ideas for places to eat and visit. Nov 2008. 17th Comment A beautiful property. 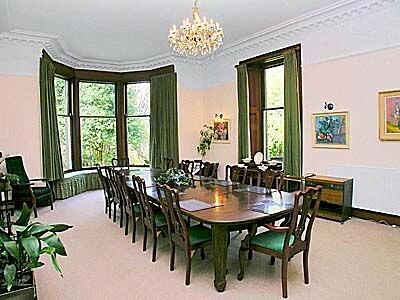 A great place for a family get-together or for a group of old friends. The house is full of character and comes (reputedly) with its own ghosts, although we didn’t see any! 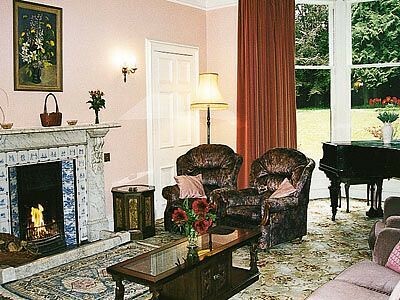 Magnificent dining room, comfortable lounge with open fire, and a games room with billiards table which takes you back into the nineteenth century. March 2007. 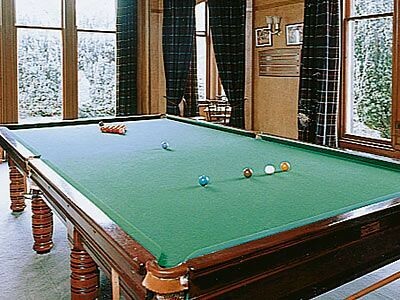 18th Comment Fantastic place, loads of room, very peaceful...and near a distillery... what more could i ask for...oh yes a full sized snooker table!!! Oct 2007. 19th Comment Pauline the caretaker met us on arrival and was very helpful, advising us on the best places to eat etc. The foyer had lots of leaflets explaining places of interest to visit. 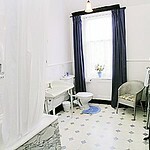 The house was amazing, very clean and exceeding my expectations. My family and I had an unforgettable weekend and we would definitely stay here again. Brilliant! Oct 2007. Large C16th Z Plan tower with many later extensions which fell into disrepair before beig restored in 1980s and is now private. 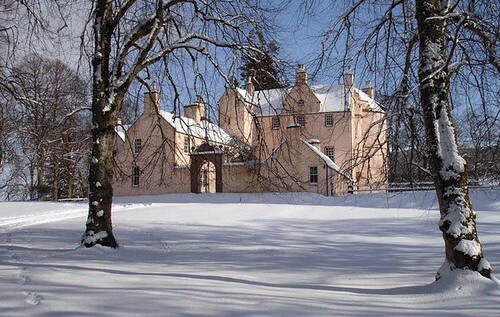 This may be the oldest surviving Z Plan house apart from Huntly Castle.